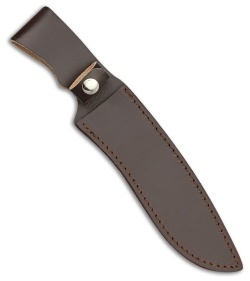 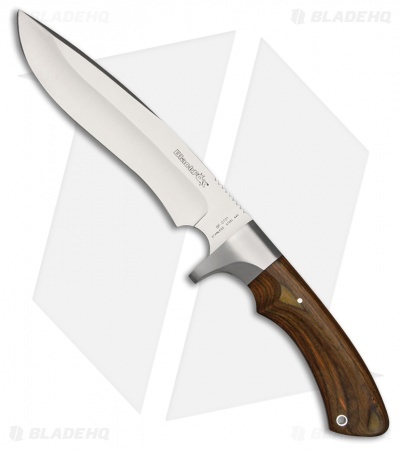 This BlackFox Recurve Hunting Knife is a hunting fixed blade designed for dressing larger game. 440A stainless steel recurve with a plain edge and satin finish. Contoured brown pakkawood handle with stainless steel guard. Black leather sheath for comfortable belt carry.